Learn more about Orange, California using the City Guide below. Plan a trip, find local shopping centers, or just discover what makes Orange, California so great! Orange is a city in Orange County in Southern California. 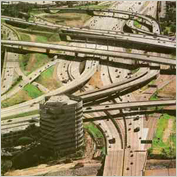 The city of Orange is easily accessible from the 5, 22, 55, 57, and 91 freeways. The beautiful Crystal Cathedral is the main sight and was even nominated for Wonder of the World. The Cathedral, serving as a place of worship, also is host to annual Christmas and Easter shows. Tickets sell fast so if you plan to attend, buy them before hand and it will be near impossible to buy them at the door. Also the bustling cities of Santa Ana, Anaheim, Tustin and Irvine, as well as other interesting cities are near by. Shopping at The Block is almost mandatory when visiting the city as is visiting the almost completly glass Crystal Cathedral. Best Western Orange Plaza, 1302 W Chapman Avenue, +1 714 633-7720, Fax: +1 714 633-9469. Hawthorne Suites, 720 The City Drive South, +1 714 740-2700, Fax: +1 714 971-1692. Motel 6 Anaheim Stadium - Orange, 2920 West Chapman Avenue, +1 714 634-2441, Fax: +1 714 634-0127. Travelling to or from Orange, California? Find flight to or from Orange, California with an Online Travel Agency. Get lodging information or make reservations with a Local Online Hotel. Plan ahead and reserve a car with a Local Car Rental Agency. Are you relocating to Orange, California? Goods & Services in Orange, California.